Marstons Mills, MA (June 30, 2018) – Two people were injured in a rollover crash early Saturday morning in Marstons Mills, Massachusetts. Barnstable police say that two people were traveling in an SUV on State Route 28 near South County Road when the SUV rolled over, pinning them inside. Barnstable police and local rescue workers responded immediately to the scene of the crash. The two occupants of the SUV were transported to Cape Cod Hospital with injuries, the extent of which are unknown at this time. Barnstable police are still investigating this crash and have not identified either the driver or passenger of the SUV. 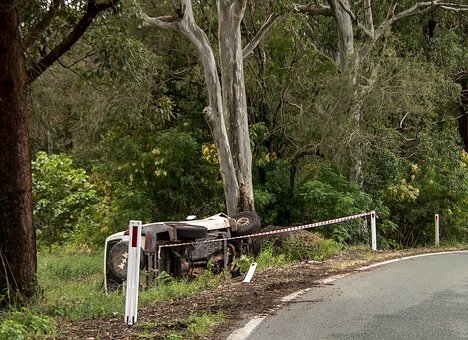 The cause of the rollover is not known. If you’ve been hurt in a collision, you need a good personal injury attorney. Collisions happen suddenly, violently and without warning. They can leave you in a world of hurt, both literally and figuratively. You are facing high medical costs, forced time off work, and are dealing with recovery from painful injuries, which can be quite long-lasting and severe. The insurance company will likely be in touch with you right away to offer a quick settlement which may initially seem attractive just to be done with the ordeal. However, it is likely that their offer does not take into account all factors of your case. You should not compound the accident by choosing to handle things yourself or hiring an inexperienced attorney to take your case. At the Law Offices of Jeffrey S. Glassman, we focus our practice on personal injury and have experience in accidents involving all types of vehicles and circumstances. Our team of attorneys knows how to help if you have been injured in a Boston car accident. Insurance companies will want you to resolve your claim without obtaining an attorney so that they can save money. Our team is specially trained to help you and ensure that you receive the highest value for your case. The good news is that we recover nothing unless you also recover so there is absolutely no obligation on your part. You have nothing to lose if we take your case. If you would like to speak with someone about your potential claim, please give us a call at 617-367-2900. The call is free and we would love to hear from you.